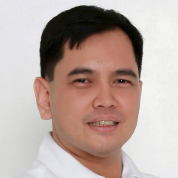 Mayor Francis Anthony S. Garcia graduated from Philippine Science High School in 1992, and Cornell University in Ithaca, New York USA in 1996 with a Bachelor of Science in Engineering degree, majoring in Computer Science. He worked for various companies afterwards, including for Qualcomm, Incorporated in San Diego, California. Mayor Garcia was elected as Mayor of Balanga City, Bataan, Philippines in 2016 and has since improved and continued on various advocacies including a smoke-free and Tobacco-Free Generation City, excellent educational and computer facilities in the villages and schools, and more job opportunities.